Plan F is fading away, and Plan G may become the most selected option. This material was prepared by MarketingPro, Inc., and does not necessarily represent the views of the presenting party, nor their affiliates. This information has been derived from sources believed to be accurate. Please note – investing involves risk, and past performance is no guarantee of future results. The publisher is not engaged in rendering legal, accounting or other professional services. If assistance is needed, the reader is advised to engage the services of a competent professional. This information should not be construed as investment, tax or legal advice and may not be relied on for avoiding any Federal tax penalty. This is neither a solicitation nor recommendation to purchase or sell any investment or insurance product or service, and should not be relied upon as such. All indices are unmanaged and are not illustrative of any particular investment.Citations. Among several laws signed by Governor Jerry Brown on September 2018 is Assembly Bill (AB) 2634, which is intended to protect and assist consumers affected by cost increases in their existing life insurance policies. Current California law requires a carrier to provide notice for premium increases. A statement of the current rate or charge, the new rate or charge, and the percentage change. The bill also requires carriers to include “an inforce illustration of current and future benefits and values whenever the policy is subject to an adverse change in the current scale of nonguaranteed elements” and to advise the policy owner to contact the agent or carrier if there are questions. Regardless of the type of insurance policy, owners should have their policies reviewed on a periodic basis. If you would like a review of your policy, we welcome your call. Cornerstone Comments: This Wall Street Journal article does an good job describing the earlier adoption of Universal Life Insurance policies, and the negative impact of lower interest rates on these policies over the past decade. However, it does not properly characterizing the insurance industry’s attempt in educating current policy owners of this impact, and the importance of policy reviews regardless of market conditions. Still, there are a few take-aways we have advocated for years. Policies of all types, and in particular Universal Life policies, should be reviewed periodically. If your current advisor is not asking to review your policies, please call us for a complimentary review. The need for life insurance can change over time. What at one point may have been a good idea can change as circumstances change. Be open to changes and alternative uses for your policy, including using unneeded cash values for other financial needs like long term care or guaranteed fixed income. The world of Universal Life insurance and other policy types have evolved. Costs and surrender charges for many have been reduced. Finally, although this article is a good starting point on this matter, it should not be assumed the opinions shared are actionable to you. Everyone’s circumstances are different. A good planner will not have one solution that fits all clients. We hope you find this article a good starting point for your own questions in insurance and policy reviews. We view insurance as one among many different potential financial planning strategies. We are available to help educate on these and other financial matters. A popular insurance product of the 1980s and 1990s has come back to bite many older Americans. Universal life was a sensation when it premiered, and for some years it worked as advertised. It included both insurance and a savings account that earns income to help pay future costs and keep the premium the same. That was when interest rates were in the high single digits or above. Today, rates are completing a decade at historically low levels, crimping the savings accounts. Meanwhile, the aging of the earliest customers into their 70s, 80s and even 90s has driven the yearly cost of insuring their lives much higher. The result is a flood of unexpectedly steep life-insurance bills that is fraying a vital safety net. Some find they owe thousands of dollars a year to keep modest policies in effect. People with million-dollar policies can owe tens of thousands annually. Some retirees are dropping policies on which they paid premiums for decades. “I’m very scared that everything will go down the drain,” said Bernice Sack, a 94-year-old former hospital billing clerk in North Carolina. A $56 monthly premium Mrs. Sack paid when she bought the policy 35 years ago has climbed to $285, despite her efforts to keep the cost down by reducing her death benefit. Living with a daughter and getting by on Social Security, she skimps on medications to pay the insurance bill, sometimes runs late on her share of household costs and considers ice cream a splurge. John Resnick, co-author of an American Bar Association book on life insurance, said of hundreds of older policies he has reviewed over a decade, “easily 90% or more actually were in trouble or soon to be in trouble.” Many people “are sitting on a ticking time bomb, and most probably aren’t aware of it,” he said. Universal life is among the reasons Americans are approaching retirement in the worst shape in decades. The insurance policy type emerged in an era nearly four decades ago when the Federal Reserve was fighting inflation with high interest rates. Some financial advisers suggested people forgo traditional “whole life” insurance and buy less-expensive policies that covered just a limited term, investing what they saved in the mutual funds and money-market funds then proliferating. Insurance companies embraced this mantra of “buy term and invest the difference” by inventing a new product. With universal life, the customer buys a one-year term-insurance policy and renews it annually. In the early years, the premium the customer pays is a good deal more than the actual cost of the insurance. The excess goes into a tax-deferred savings account. The policies are designed so the gains in the savings account, which the industry typically calls a “cash-value” account, offset part of the cost of renewing the term insurance each year. Much depends on what interest rate the account is earning. When these policies first were sold, U.S. interest rates were unusually high, and insurers often illustrated the policies to potential customers using a scenario of continuous 10% to 13% rates. Companies typically showed worst-case scenarios, too. But with high rates common, the worst-case scenarios often got short shrift. The interest projections were proving unrealistic by the mid-1990s, and especially so after the 2008 financial crisis depressed rates. Although many policies didn’t allow the savings-account return to fall below 4% or 5%, that wasn’t enough for early customers. The cost of a year of term insurance soars once people reach their late 70s. Compounding the problem, universal life offers flexibility that is alluring but dangerous. Within reason, customers plan their own monthly or annual premium payment. They can set it low, counting on high interest income in their savings account to keep the policy financially sound. Customers also can choose to pay less than their planned premium sometimes if money is tight. Or they can skip a payment altogether. And they can borrow against their savings account. Any such move, of course, will spell skimpier earnings in the account. It is widely accepted that not all customers—or even all insurance agents—fully understood years ago how borrowing or skipping payments could undermine a universal-life policy. Defending their sales, insurers say they have paid out more than $150 billion on universal life policies, and some owners received value from their policies by borrowing from them. Insurers stress that materials given to customers say only a minimum interest rate is guaranteed; higher rates used in sales pitches are hypothetical. Insurers send customers annual statements showing the change in the value of their savings account and what it has cost to renew their term insurance. Some companies seek to identify problematic older policies, sending customers extra communications to be sure they understand their situation. “Lincoln annually provides all policyholders with an updated statement that they and their agent can, and should, use to manage their policy and assess how various activities including withdrawals, missed payments and loans may impact its value,” said Scott Sloat, a spokesman for Lincoln National Corp. , the company that sold Mrs. Sack her policy. He said Lincoln sends additional letters to customers who could face a large, sudden jump in their premium in 10 years or sooner if they don’t take action, such as by voluntarily increasing premium payments or reducing the policy’s death benefit. Nicholas Vertullo, an 85-year-old former high-school teacher outside New York City, has three universal-life policies issued by a unit of American International Group Inc. One of them initially earned 9% on its savings account. The policies’ accounts today fetch 4% to 4.5% interest. For death benefits totaling about $475,000, Mr. Vertullo is paying about $30,000 a year, triple the original premiums. AIG said it doesn’t comment on individual situations. It said universal life is one of a wide range of solutions it offers to meet families’ specific needs. In the early years of universal life, buyers often were businesspeople and other professionals who found the tax-deferred interest feature attractive. The insurance industry’s reputation for conservative products helped allay skepticism. By 1985, universal life was generating 38% of the industry’s premiums for individual life policies, according to research firm Limra. Americans bought two million to three million universal-life policies a year in the 1980s and early 1990s. Industrywide, some customers angrily canceled their policies. Others took a shame-on-me attitude for not having read the details. Some began voluntarily paying larger premiums to put the policies on firmer financial footing. Lawsuits arose, and from the mid-1990s to early 2000s plaintiffs’ lawyers reached settlements over allegedly deceptive sales practices, such as promising the savings buildup would eliminate the need to pay premiums at all in a decade or so. State regulators tightened rules on how insurers could illustrate the policies, including requiring them to cite interest rates that could be justified for the long haul. The industry responded by offering a new wrinkle: guaranteed universal life, which had a fixed premium designed to ensure lifetime coverage if paid on time. Many early universal-life policyholders swapped into this. The disappointed early buyers of universal life included people in the industry—a gauge of how poorly the policies often were understood. Early this year, MetLife Inc. alerted Ohio couple Thomas and Rebecca Bell they would need to start paying about $300 a month on a policy for which they had been paying $97 monthly since they acquired it in 1994. At that time, Mr. Bell was an insurance agent. The Bells owned a universal-life version with some added twists and risk, “variable universal life,” which let them invest the savings in stock and bond funds. After having paid $26,000 in premiums over the years, the couple let the $25,000 policy lapse. “There was no way [a $300 monthly premium] would be in our budget,” said Ms. Bell, 79. A MetLife spokeswoman said, “We understand it can be challenging to cover the cost of insurance” when a policy contains less built-up income than envisioned. She said MetLife updates policyholders annually on their accounts’ value and urges them to contact their agents or the company. The tumble in interest rates didn’t affect just customers—it also dinged insurers’ profits. As corporate-bond yields fell below 5% in recent years, insurers earned less from investing premiums, yet still had to pay guaranteed minimums of around 4% on universal-life savings accounts. With future profits expected to be hurt by low rates, at least a half-dozen insurers have invoked policy provisions that they say allow them to raise the rates used to calculate the annual cost of customers’ term insurance, according to ITM TwentyFirst, which provides policy-management services. This means some customers see costs rising not simply because they are a year older, or because their savings account didn’t grow as planned, but because their insurer has changed its price formula. As a result, even some customers who kept their policies well funded are being hit with unexpectedly higher costs. One is Douglas Bradley, 83, a longtime health-insurance broker in California, whose premium roughly doubled because of a change made by insurer Transamerica. “I am absolutely stupefied at this,” Mr. Bradley said. Transamerica, a unit of Aegon NV, declined to comment on Mr. Bradley’s situation but said its change was contractually permitted. Such increases are “causing more life-insurance policies to expire even quicker than before” as customers who can’t afford them drop their policies and hand insurers “windfall profits,” said Henry Montag, a principal with The TOLI Center East in Melville, N.Y., which evaluates policies held in trusts. Mrs. Sack, the 94-year-old retired hospital billing clerk, was warned by her insurance agent in 2000 that the universal-life policy she bought in 1983 was financially off track. Mrs. Sack had borrowed a little over $4,000 from it and had skipped some payments. Also, while the policy’s savings account initially earned over 10%, by 2000 this was down to 5.7%. She lowered the death benefit to $21,000 from $25,000 to repay the loan but still had to nearly double her premium, to $100 a month. The premium kept rising. She borrowed a few thousand dollars more from the policy, and the interest return continued to slide, to the 4% minimum. Her experience is detailed in an inch-thick stack of documents, bills and correspondence, with scribbled names of Lincoln National representatives she and her daughters have spoken to in their efforts to figure out the situation. Mrs. Sack complained last year to North Carolina’s insurance department. It responded that “we understand your frustrations” but that the company appeared to be in compliance with policy provisions. Even though Mrs. Sack has paid more for the insurance—approximately $39,000—than her heirs will ultimately receive, she doesn’t dare stop paying and let it lapse. This article was prepared by a third party for information purposes only. It is not intended to provide specific advice or recommendations for any individual. It contains only general descriptions and is not a solicitation to sell any insurance product or security, nor is it intended as any financial or tax advice. For information about specific insurance needs or situations, contact your insurance agent, Guarantees are based on the claims paying ability of the issuing company. When we retire, every day becomes just like the weekend. And on the weekend, we have all kinds of time and opportunities to spend money. Many of us vastly underestimate the percentage of income we’ll need. Here’s how to make sure you get that number right. 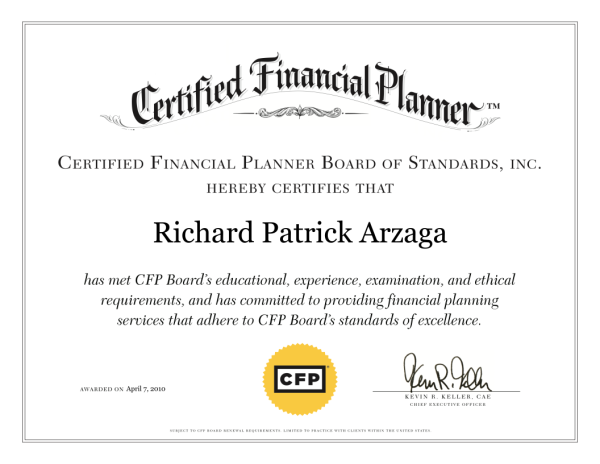 I was asked recently by a former student-CFP® candidate to recommend a software program for a friend who wanted to create a plan on her own. I get this question every-so-often. While there are a few pretty slick sites that produce easy to create financial profiles, my experience is that it is often user-error that causes them to create a plan that looks promising but falls apart on quick review. One of the biggest reasons in understatement of spending. The following article by Dan Ariely and Aline Holzwarth, begins to describe this gap. Other assumptions not covered in this article are also missed, like assumed performance, treatment of assets and taxes, and the introduction of risk during the plan. If you want a great plan, my recommendation is to choose a great planner who can integrate technology with planning experience. Ask for a sample of her/his work. Ask her/him to explain how the plan was assembled. Ask if she/he holds a CFP® designation. These few questions alone will help you learn which advisors view planning as a foundation for your financial life, and other advisors say they are planners but prefer to only manage your investments. I hope this article helps. It’s the question that plagues pretty much everybody as they look ahead: How much money will I need in retirement? Most likely, a lot more than you think. Let us explain. The typical approach most people take is to ask what percentage of their final salary they think they will need in retirement. If you have ever visited a financial adviser, you must have been asked this sort of question. You most likely dedicated a whole minute (at most) to formulating your answer. And no one would blame you for it. Answering a question as complex as this requires knowledge far beyond most people’s grasp—and far beyond the grasp of even many professionals. Just imagine for a second the sorts of inputs you might use to get to the right number, such as the cost of living where you want to retire, the cost of health care (and how much of it you will utilize), the state of Social Security, the rate of inflation, the risk level of your investment portfolio, and especially how you want to spend your time in retirement. Do you want to take walks in the park or join a gym? Drink water at dinner or expensive wine? Watch TV or attend the ballet weekly? Visit family once a year or twice a year or four times a year? Do you want to eat out once or twice or five times a week? And so on. Try it yourself. Stop for a minute and think to yourself what your percentage might be. Clearly, it’s a daunting task to transform all these hard-to-predict inputs into a single percentage. To understand better how people grapple with this question, we invited hundreds of people—of different age groups, income levels, and professions—to our research lab and asked them how much of their salary they thought they would need in retirement. The answer most people gave was about 70%. Did you also choose a percentage around 70%-80%? You’re not alone. In fact, we, too, thought that 70% sounded reasonable. But reasonable isn’t the same as right. So we asked the research participants how they arrived at this number. And we discovered that it wasn’t because they had truly analyzed it. It was because they recalled hearing it at some point—and they simply regurgitated it on demand. The 70%, in other words, is the conventional wisdom. And it’s wrong. To find out what people actually will need in retirement—as opposed to what they think they will need—we took another group of participants, and asked them specific questions about how they wanted to spend their time in retirement. And then, based on this information, we attached reasonable numbers to their preferences and computed what percentage of their salary they would actually need to support the kind of lifestyle they imagined. The results were startling: The percentage we came up with was 130%—meaning they’d have to save nearly double the amount they originally thought. How could this be? Just think about it. Working is actually a very cheap activity. When you’re working (never mind the fact that you are actually making money), you aren’t spending much. There’s no time to spend money at work. And when we do spend money, it is often paid for by our employers. At least some companies pay for our coffee, our travel, team-building activities, happy-hour drinks and so on. It is one of the cheapest ways to spend our time. When we retire, it is as if someone took 10 waking hours of our workday and gave us free time to do as we please. Every day becomes just like the weekend. And on the weekend, we have all kinds of time and opportunities to spend money. We shop, travel, buy tickets for events and eat out. Sure, we may have the time in retirement to do certain things ourselves that we would pay for while working (like mow the lawn, clean the house or make our own lunch). But for the most part, it is much easier to spend money when we’re not spending most of our waking hours at work. Now that we know how misguided the 70% figure is, here’s the hard question: How can each of us figure out more precisely the kind of life we’ll want—and what it will cost? In a study conducted in collaboration with MoneyComb, a fintech company that participated in our Startup Lab academic incubator program at our Center for Advanced Hindsight at Duke University, we found out that a good way to think about spending in general is to think about the following seven spending categories: eating out, digital services, recharge, travel, entertainment and shopping, and basic needs. Clearly, those who prefer spending time at the beach and watching Netflix won’t spend nearly as much as those who prefer the opera and good wine three times a week. Those who want to spend vacations visiting family won’t spend nearly as much as those who want to take a few cruises a year. Believe it or not, what might seem like minor preferential differences like these can quickly add $20,000 a year to your spending requirements. This is precisely why it’s so important to factor in these preferences when determining how much you need for retirement. Failing to account for all of your expected costs in retirement, no matter how small, can be costly. Here are some specifics—many of which people often forget—to factor in when making projections. Try this exercise yourself: Close your eyes and picture a single representative year in retirement. Live it in the best way you can imagine. (And remember that “best” doesn’t necessarily mean “more expensive.”) The more expensive you imagine your future, the larger the sacrifice you will have to make today. Now, answer each of the following questions from the list of categories. We know that just thinking about retirement, not to mention doing the math, can be overwhelming. So pour yourself a glass of wine and make this a rewarding process for yourself. Just take note of how much you spent on the bottle for future reference. Eating out and in:Do you like to cook, or do you prefer going out to eat? How often do you want to go out to dinner in retirement? How much do you spend on each meal, on average? How often do you see yourself splurging on dessert, or a fancy bottle of wine? Digital services:What are the digital services you pay for now? Do you have a subscription to The Wall Street Journal? (You won’t want to give that up.) Do you have cable? How about videogames? Apps and software? Online courses? What are all the digital services you want to have in retirement, and how much do they cost? Would you like to spend more or less on digital services in retirement? Recharge (recreational and personal services):Do you like to pamper yourself? What sort of pampering do you imagine in retirement: reading a book at the beach, treating yourself to the occasional $15 manicure, or going all in with luxurious spa treatments? How often do you want to get a massage? Are you a member of a country club, or would you like to be? Entertainment:How will you spend your time in retirement? What sorts of events will you want to attend? How much do you want to spend on the opera, concerts, musicals, ballet, sports events, museums, classes and so on? Will you buy books or borrow them from the library? Shopping:Are you a shopper? Do you like to give your friends and family gifts? What about donations to charity? How much shopping do you see yourself doing in retirement? How much do you imagine spending on clothing, electronics, home goods and other shopping? If you want to take the next step in this process and translate your annual amount to the total amount you will need over the course of your full retirement (to know the total amount you need to accumulate from until then, for example), simply multiply the annual amount by the number of years you expect to be in retirement. For most of us, that should be about 20 years. As we live longer, funding retirement is a moving target. And to have any hope of successfully securing our future lifestyles, we have to start early and we have to build a more detailed and accurate picture of the way we hope to live. We have to understand not just how much we will earn in our life and how far we are from retirement (in years and in dollars), but also how we want to spend our time both during our working years and after. Once we have determined how much we truly need to save for retirement, we can then focus on how to get to this amount. We can adjust our current lifestyle accordingly, figuring out which trade-offs we are willing and unwilling to make. We should also work backward to determine how much risk we need to take in our investment portfolios in order to reach these goals. And finally, for most of us the retirement we desire may be out of reach, so we need to start being extra nice to our children. Mr. Ariely is the James B. Duke Professor of Psychology and Behavioral Economics at Duke University. He is the founder of the Center for Advanced Hindsight. Mrs. Holzwarth is the head of behavioral science at Pattern Health, and principal of the Center for Advanced Hindsight at Duke University. For many consumers, insurance is a confusing maze of possibilities. There are myriad kinds of policies available, including life, auto, homeowners, health, disability, flood and even pet insurance, that could be appropriate for people, depending on their circumstances and where they live. But many consumers don’t fully understand what each of these policies covers, and they may struggle to find the information they need to make informed decisions. Insurance professionals recommend consumers review their policies and coverage options yearly to ensure they are properly protected. How much do you really know about insurance? True or false: All disasters are covered under standard homeowners and renters insurance policies. ANSWER: False. Standard homeowners policies typically cover damages from some potential disasters, including tornadoes, lightning strikes and winter storms, according to the Insurance Information Institute, which helps educate consumers on insurance-related issues. These policies can vary, so read the fine print. What’s more, standard homeowners policies generally don’t cover damages from disasters such as floods, earthquakes or sewer backups; separate endorsements or policies may be needed to protect against these types of problems, according to the institute. If a policy has a $500 deductible, and the insurance company determines that the insured loss is worth $10,000, the claimant would receive a check for ____________. ANSWER: B. $9,500. The dollar amount of a deductible comes off the top of the claim payment. Deductibles can be specific dollar amounts or percentages, as is generally the case with homeowners insurance. With an auto-insurance or homeowners policy, the deductible applies each time you file a claim. One exception to this is in Florida, where homeowners policies usually require consumers to pay only one hurricane deductible per calendar year, rather than after each storm. When thinking about the amount of coverage to place on personal possessions, a good rule of thumb is to insure them at ___% to ___% of a person’s dwelling coverage amount. ANSWER: C. Most homeowners-insurance policies provide coverage for personal possessions at about 50%-70% of the insurance on the person’s dwelling, according to the Insurance Information Institute. So, if a person insures a dwelling for up to $150,000, he or she would want to insure personal possessions for at least $75,000. A new type of biometric device. A type of vehicle insurance where premiums can depend on driving habits such as speed, miles driven and hard-braking incidents. A policy based on your life expectancy. A way of measuring how much your personal property is worth. ANSWER: B. Usage-based insurance, also known as telematics, tracks driving behavior through devices installed in a vehicle or through smartphones. Wireless devices transmit data in real time to insurers, which use the information to help set premiums. The devices record metrics such as the number of miles driven, time of day, where the vehicle is driven, rapid acceleration, hard braking, hard cornering and air-bag deployment. By year-end, 80% of new cars for sale in the U.S. could be equipped with onboard telematics devices, and by 2020, 70% of all auto insurers will use telematics, the National Association of Insurance Commissioners predicts. Some ___% of households didn’t have life insurance in 2016, according to Limra, an industry-funded research firm. ANSWER: D. 30%. The good news is that more households seem to recognize the need for life insurance. Nearly five million more U.S. households had life insurance coverage in 2016 than in 2010, according to the most recent data available from Limra. When choosing an insurance company, consumers should consider _____________________________. Whether the insurance company is licensed in their state. The cost of the insurance policy. The financial strength of the insurer. ANSWER: D. There were nearly 6,000 insurance companies to choose from in the U.S. in 2016, according to the National Association of Insurance Commissioners, so consumers should do their homework before choosing one. A good place to start is with their state insurance department, which can help identify which insurers are licensed to do business in the state. The department may even publish a guide that shows what insurers charge for different policies. Independent credit-rating firms—such as A.M. Best, Fitch, Kroll Bond Rating Agency (KBRA), Moody’s and S&P Global Ratings—are another source of information. They rate insurers’ financial strength, which can be an important indicator of whether a firm will have the assets and liquidity to pay claims as promised. Consumers should also gauge the level of service insurers are providing and their comfort level with the company’s representatives. True or false: While not required, business-interruption insurance is a good idea for entrepreneurs and startups. ANSWER: True. After a catastrophe or disaster, about 40% of businesses don’t reopen and an additional 25% fail within a year, according to data from FEMA and the U.S. Small Business Administration. Business-interruption insurance can help compensate small-business owners for lost revenue due to closure. This type of insurance can also help owners cover the cost of fixed expenses such as rent and utilities, as well as mitigate the expense of operating from a temporary location. True or false: People who don’t have health insurance in 2018 will still face a penalty when they file their taxes in early 2019. ANSWER: True. While the penalty under the Affordable Care Act for not having health insurance has been repealed, the change doesn’t take effect until 2019, according to Louise Norris, a health-insurance broker who has been writing about health insurance and health-law overhaul since 2006. People who are uninsured in 2019 and beyond won’t be subject to a penalty, she says. http://www.cornerstonewmi.com/wp-content/uploads/What-Determines-Car-Insurance-Rates-Photo.jpg 480 962 admin http://www.cornerstonewmi.com/wp-content/uploads/logo.png admin2018-08-03 06:17:442018-09-18 06:22:35What Determines Car Insurance Rates?